First, thank you for stopping by this page to learn more about how you can volunteer with House of Dreams. We can provide care and shelter to the cats here due entirely to the dedication, compassion, and hard work of our volunteers. Thank you! If you've checked out the volunteer position information below and read over our volunteer requirements, then go ahead and fill out the volunteer interest form. And thanks again! The shelter is cleaned every single day, 365 days a year, to keep the cats happy and healthy! As a cleaner, you will typically clean once a week on the same day (though other scheduling arrangements can be worked out if needed). A cleaning shift usually lasts 2 hours depending on your speed and consists of cleaning and tidying one room in the shelter. Cleaners are responsible for scooping litter boxes, brushing cat furniture (to remove hair), ensuring bedding is clean, sweeping, mopping, cleaning cages, and scrubbing walls. All materials are provided, including non-latex gloves, and cleaners go through training with a current cleaner. Socializing with the cats is important for their mental and physical health. Socializers are crucial for providing one-on-one attention and helping our shy cats learn to feel more comfortable around people (which increases their chances of adoption!). Socializers/groomers pet, play with, and gently brush the cats during a regularly scheduled volunteer shift and will be trained in how to compassionately handle them. We have folding chairs and lots of cat toys. Take a seat and get to know the kitties here! Our volunteer coordinating team organizes the shelter's cleaning and socializing schedule via email, Google Docs, and Google Calendar, and is vital to the day-to-day running of the shelter. They evaluate volunteer interest forms to see if House of Dreams has any open positions that match the skills and schedules of interested people. Volunteer coordinators also keep cleaners updated about upcoming or last minute empty cleaning shifts via email or text message. We are looking for people who can provide availability for one or two days a week to send out and respond to volunteer emails and keep the cleaning schedule updated. After training, this position does not necessitate going to the shelter regularly and can be done easily from home. Clear communication skills and daily access to email and a cell phone with texting capabilites is a necessity! Community outreach is a great way to help House of Dreams if you cannot donate a regular number of hours at the shelter. We are always looking to table at local pet supply stores and events to inform people of the work we do. Tabling typically lasts 3 or 4 hours and involves talking with people about House of Dreams, collecting donations, and selling House of Dreams merchandise. These events happen offsite from the shelter. Training is provided. Our fundraising committee is an action-oriented group of people who meet once a month in SE Portland and typically work on larger fundraising projects. We are looking for people who are willing to put plans in place for the betterment and advancement of House of Dreams. We have many ideas, but need more people to commit to and implement them. Examples of existing committee projects include running indiegogo campaigns as needed, and working on annual events such as our Pretty Kitty Holiday Bazaar, Strut Your Mutt, and VegFest. In addition to these major fundraisers, the committee may organize smaller events, like movie nights, pub nights, and other one-off money-raising activities. We are also looking for volunteers to call businesses to secure donations or sponsorships, and work on researching grant and event opportunities. Volunteers with experience in nonprofit fundraising, marketing, event coordinating, and grant writing are especially encouraged to apply! The House of Dreams newsletter is currently released biannually and includes informational articles, cat profiles, volunteer profiles, and so on. We are looking for volunteers to help us write researched articles about cat care and health issues. Volunteers in this position would need to feel comfortable working with others, mostly via email. We are looking for volunteers who have some experience in web development and website content creation. 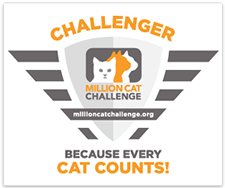 Tasks involve keeping information up-to-date, adding new cats who are available for adoption to the website, keeping pages about the shelter and resources current, and writing short blog articles. We are always looking for other forms of help! If you have experience, skills, or knowledge that you think might be useful, let us know. Some volunteers have donated their time to help with activities such as video creation, video editing, graphic design (signs, posters,), crafting items for us to sell, and so on. Don’t hesitate to let us know your abilities!